Our dear friend Ira Levy called from Blue Hill, Maine. In the course of the conversation he told us about this terrific side dish. 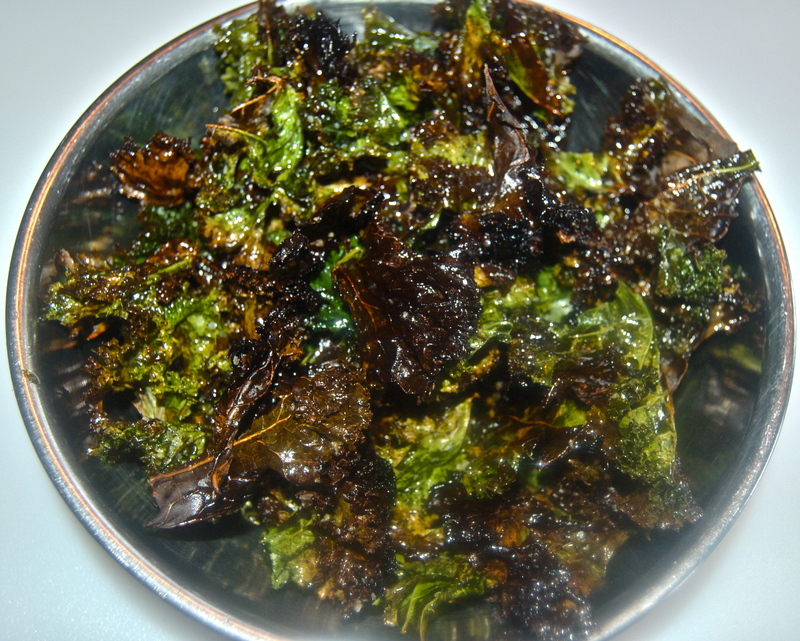 Kale, roasted as crispy as potato chips, and like chips, impossible to stop eating after just one bite. With Farmers Markets cropping up everywhere and farm fresh Kale easily available, here is Ira’s recipe for finger food for all to enjoy. 2. Remove the leaves from the center stem, discard the stem, & tear the leaves into bite size pieces. 3. Add EVOO, Salt & Pepper & toss to combine. 4. Place in the oven for 20 to 30 minutes, or until the Kale is crispy & evenly roasted. That’s it!